The steps in this tutorial require the user to have root privileges on your server. 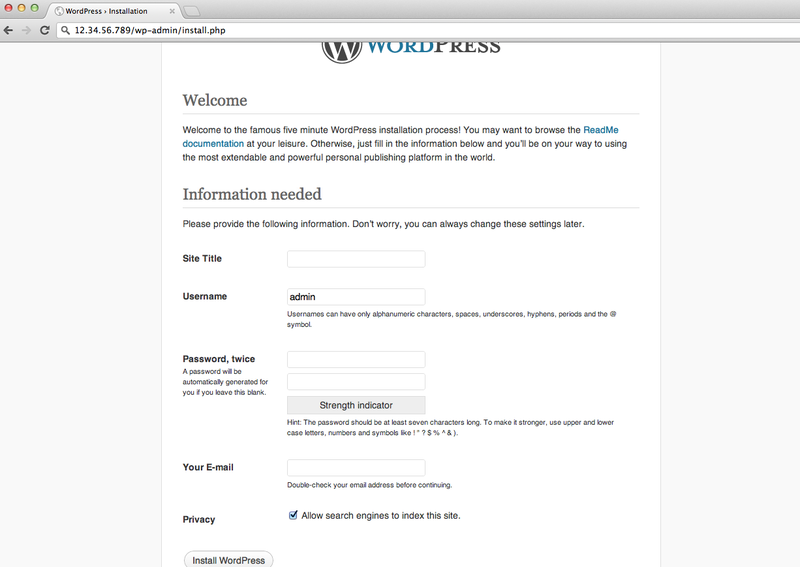 The final move that remains is to transfer the unzipped WordPress files to the website's root directory. We can modify the permissions of/var/wwwto allow future automatic updating of Wordpress plugins and file editing with SFTP. If these steps aren't taken, you may get a "To perform the requested action, connection information is required" error message when attempting either task. Give ownership of the directory to the nginx user, replacing the "username" with the name of your server user. Access the page by visiting your site's domain or your Virtual Private Server's IP address (eg. example.com) and fill out the short online form (it should look like this). Posted by: ASPHostServer Administrator - Sat, Jan 4, 2014 at 5:53 AM This article has been viewed 3788 times.